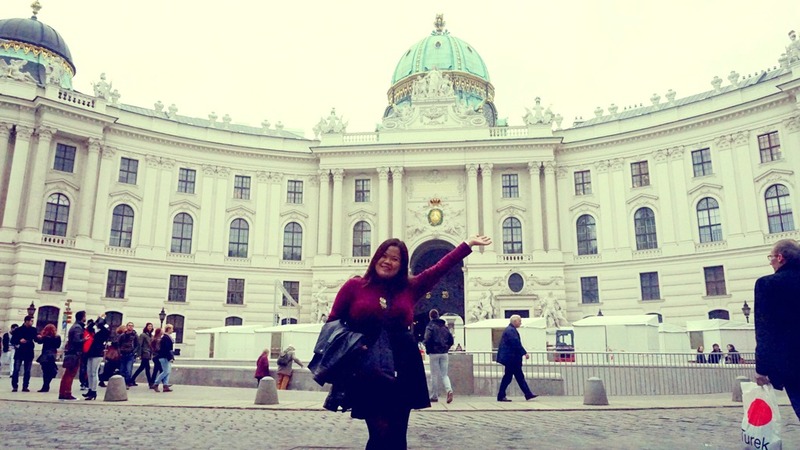 The moment my passport was stamped by the Vienesse immigration—which was, compared to our ordeal since the Dubai leg of this trip, easy breezy—I felt like I was ready to explore and conquer Europe despite feeling woozy and dizzy because of the long flight. We were whisked off from the airport to the city via the transportation service we have arranged through our guest house, Benediktushaus. In just a little over 30 minutes, we’ve arrived in our gem of a guest house—located in a Benedictine monastery, Benediktushaus is accessible to almost all the city attractions. The first surprise of the day was a food market teeming with all Viennese goodness—sausages, cheese, sachertorte, and wine—right at the doorstep of our hotel! 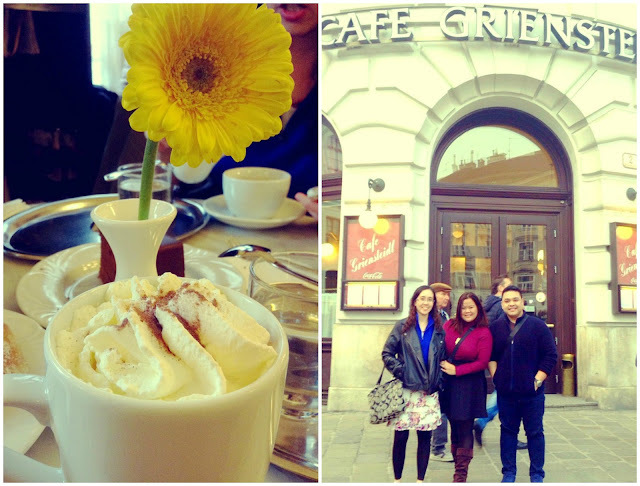 Right after settling in and freshening up, we were finally off to discover the gorgeousness that is Vienna! We had no itinerary, no plans whatsoever. 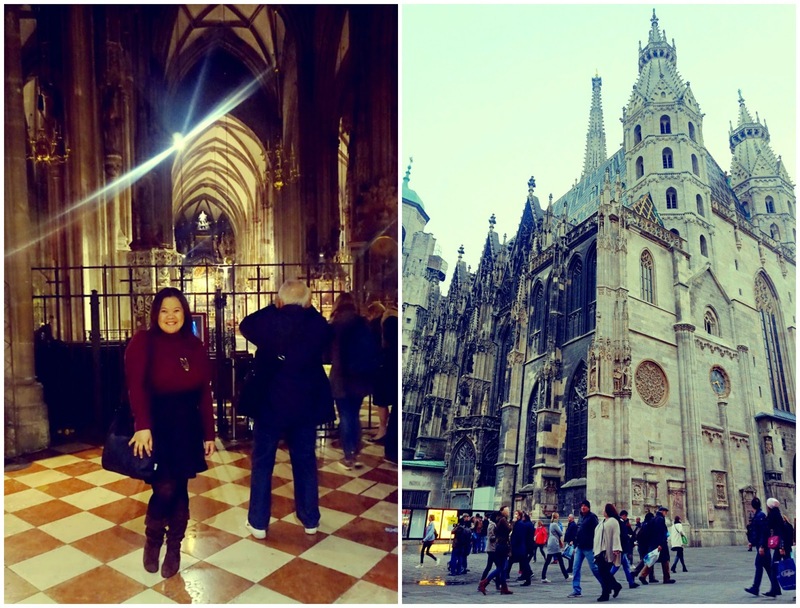 We just walked around, admiring the impressive architecture of the city. Every building seemed to conform to a certain standard of grandiose—elegant and classic, dressed in white or cream, and adorned with lavish pillars and statues. We found ourselves instantly head over heels with Vienna! 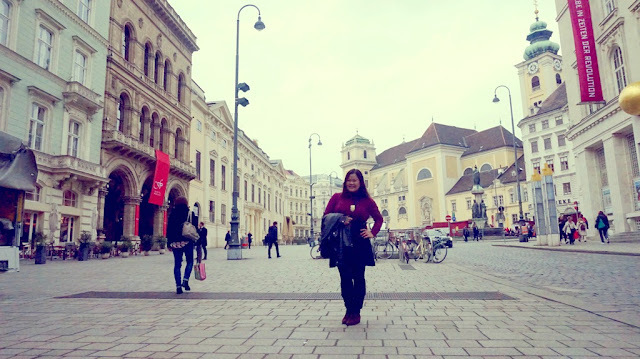 Walking around Vienna. Everything was picture-perfect! 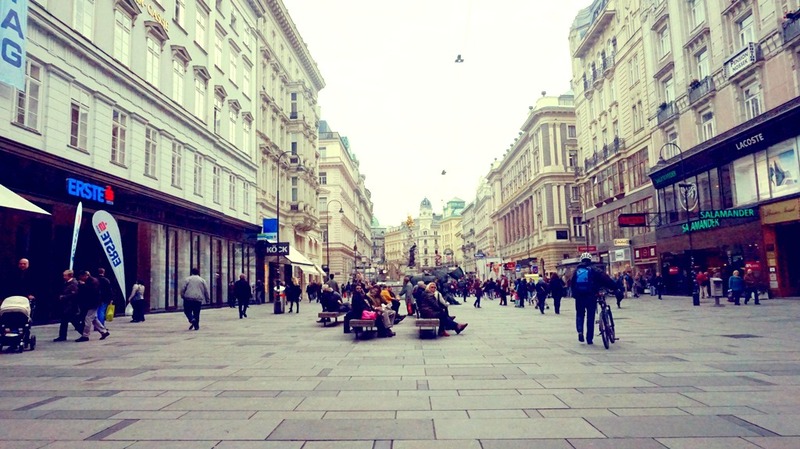 The first order of business, aside from taking a photo at the sidewalk, was to eat an authentic Vienna sausage. 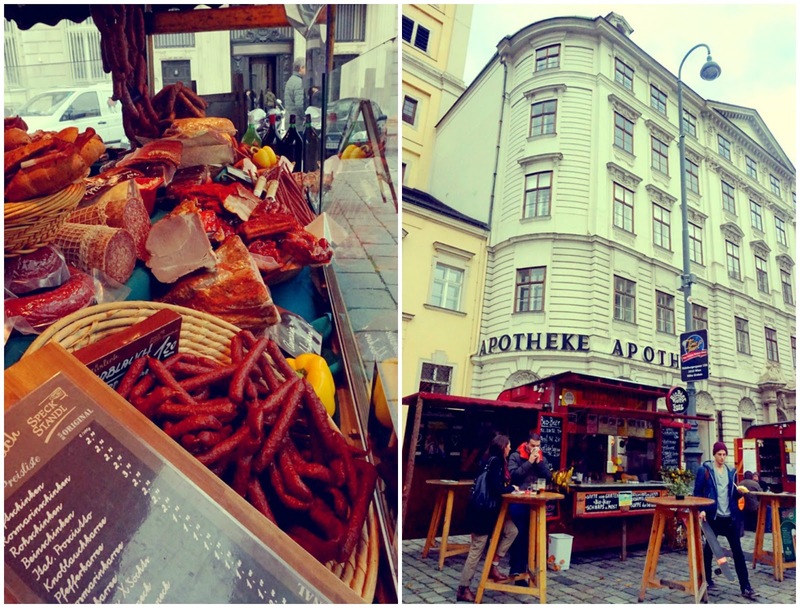 We found another food market in the next block where we enjoyed our first European meal of sausage, bread, and hot red wine! 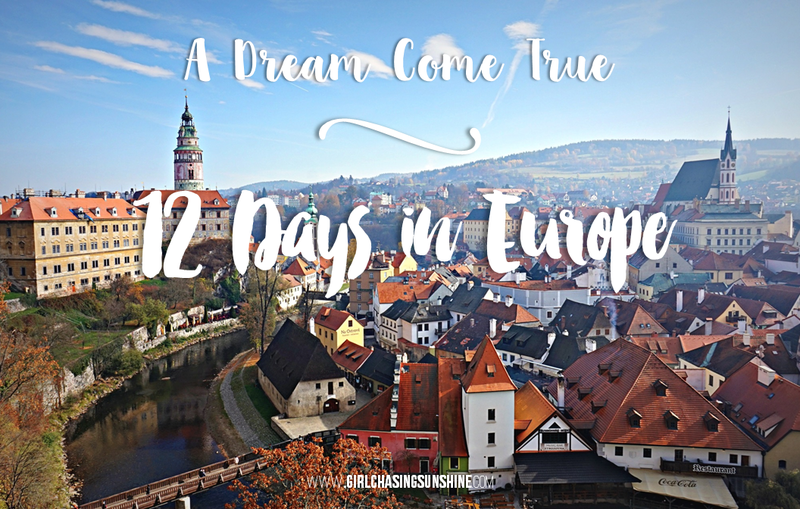 That first sip of wine in the middle of the cold autumn breeze sent shivers down my spine and made me realized that yes, I was really in Europe!!! I squealed in the middle of the market and we laughed over that good meal. As we walked further down the road, we caught a stunning glimpse of a Neo-Baroque, aqua dome. We were seeing the Michaelertor, the main entrance to the Hofburg, the imperial palace of Vienna. 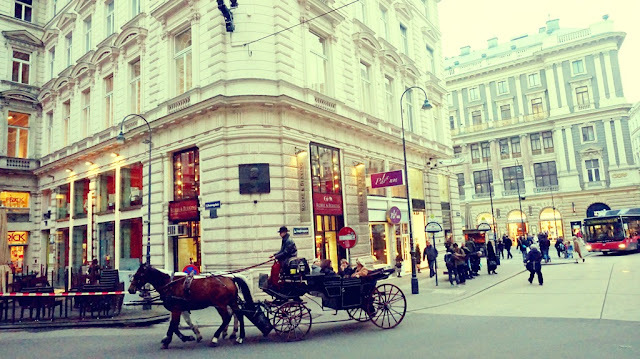 It’s located a buzzing square, with traditional cafes, museums, and buildings lined up along the entrance. 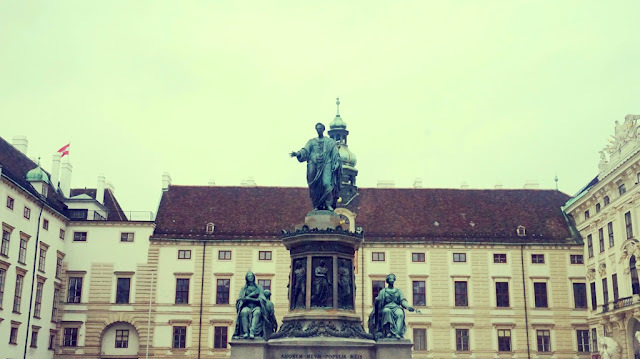 Can you spot the Michaelertor? We went inside to explore the grounds of Hofburg but decided against touring the main palace's interiors. 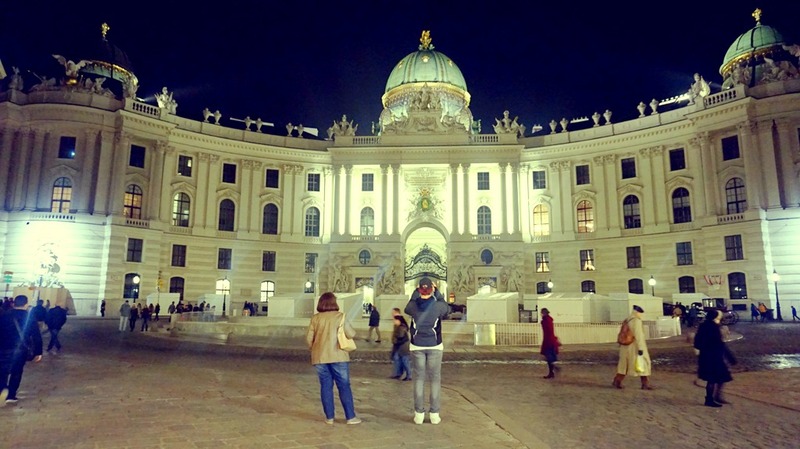 Dating back to the 13th Century, Hofburg is the former power-house of the Austrian empire. 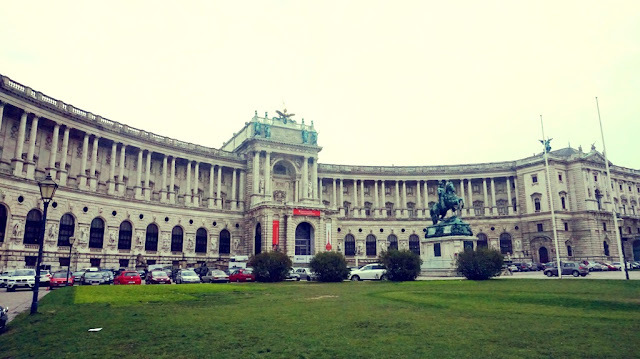 The Hofburg Palace is home to a wealthy culture and history, including the Imperial Apartments, the Sisi Museum, and the Imperial Silver Collection. The Hofburg Palace grounds were a feast on their own. 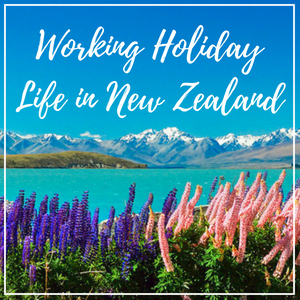 There were a lot of museums, gardens, and parks to be explored. We spent time taking photos of the autumn trees in Burrgarten which eventually led to us to the Ringstrasse. 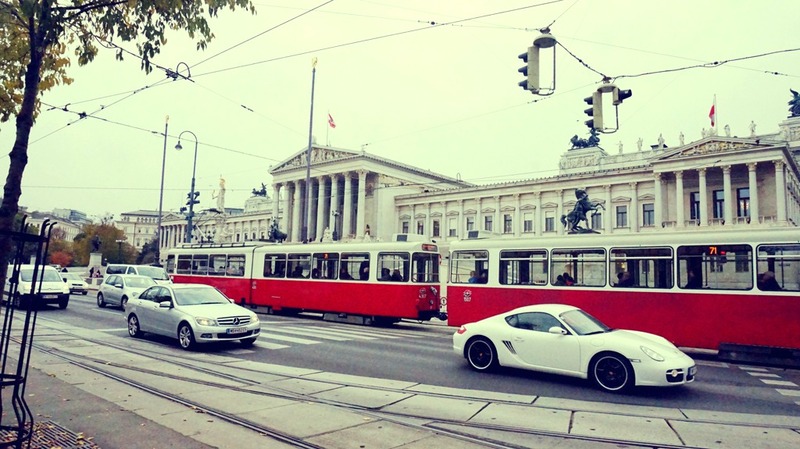 The Ringstrasse is a 5.3-kilometer circular road surrounding Vienna’s Innere Stadt (Inner City). 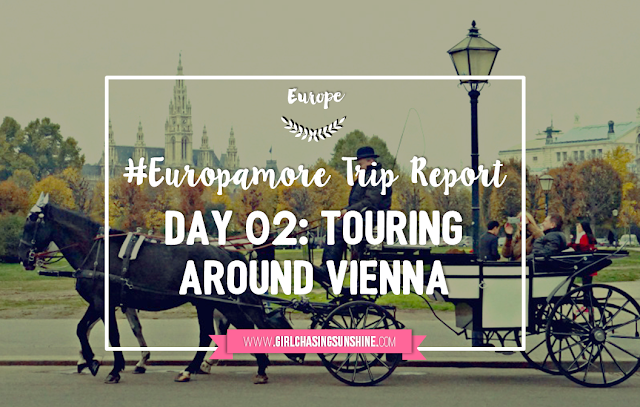 Officially opened in 1865 by Emperor Franz Joseph, the Ringstrasse is famous for the impressive buildings and pompous palaces built around it. 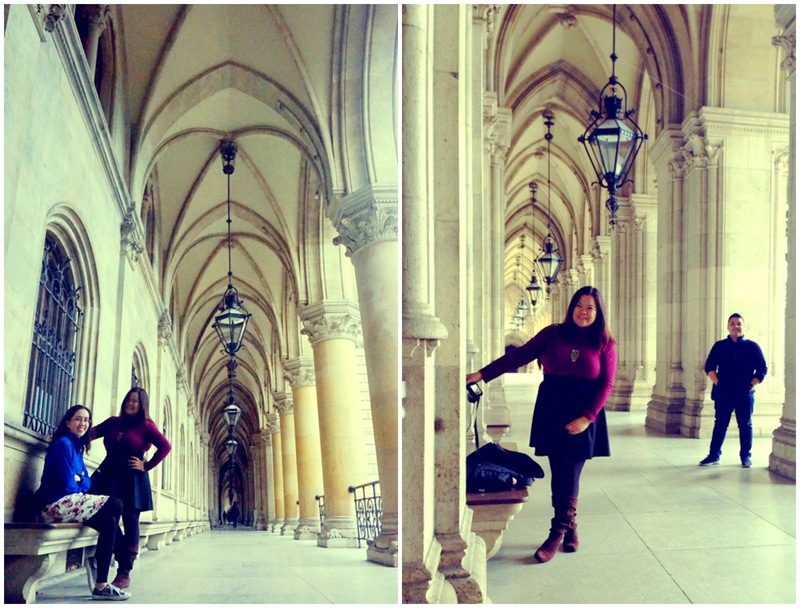 We were not able to see all of them, but along the way, we visited the Parliament Building and the City Hall, also known as Rathaus. 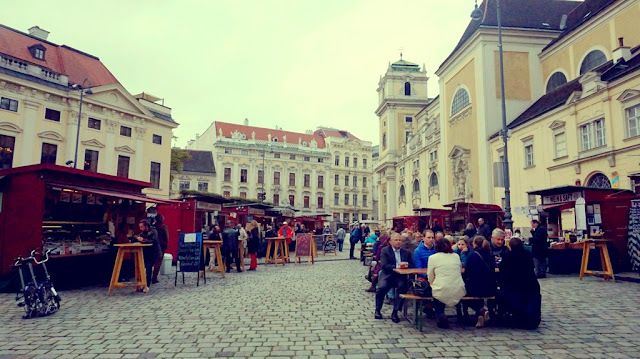 There are quite a number of traditional coffee houses to choose from but we settled in Café Griendsteidl in Michaelerplatz. 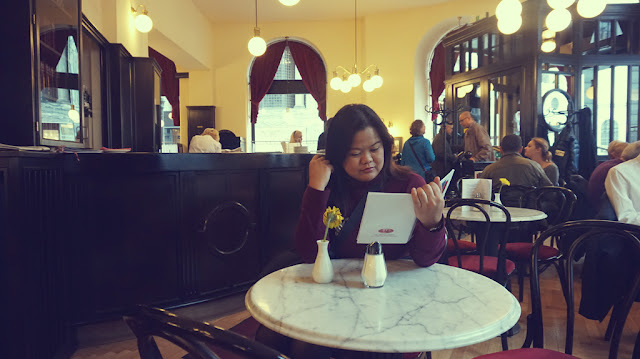 Founded in 1847 by a pharmacist named Heinrich Griensteidl, the café was used to be frequented by artists and intellectuals such as Hugo Wolf, Stefan Zweig, Arthur Schnitzler, Arnold Schoenberg in the beginning of the 20th century. 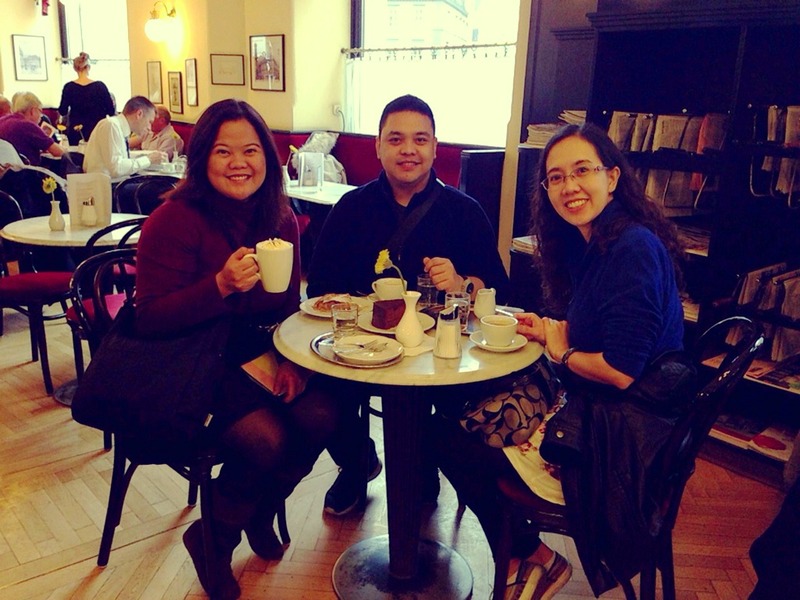 We tried their sachertorte, a Viennese chocolate cake, their apple strudel, coffee mélange, and hot chocolate. 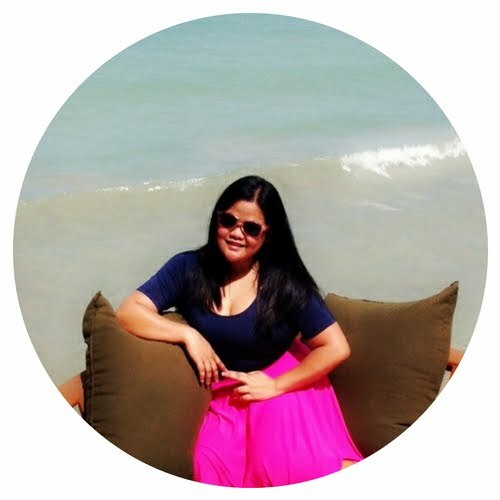 Everything was satisfactory—the food, the coffee, the ambience, and the service. A little tip: don’t forget to tip. It is expected. Maps on hand, we continued our sojourn around the city, walking towards Wiener Graben in the hopes of reaching the Stephenplatz, the heart of Vienna. 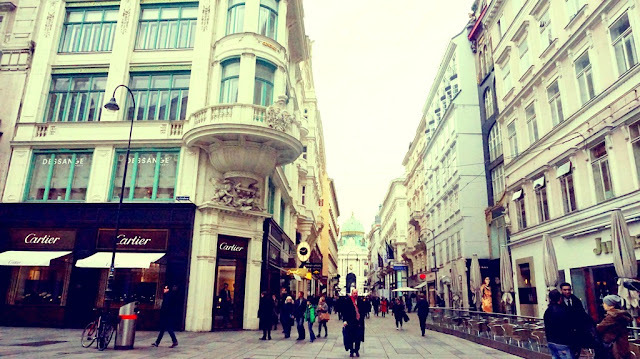 Graben is one of the most popular streets in Vienna because of luxury brand labels and shopping choices that line up the place. Not only that, Graben also has two fountains dating back into the 15th century. Just nearby, before finally proceeding to Stephenplatz, we passed by a lovely baroque church—the Peterskirche (St. Peter’s Church), inspired by Vatican’s St. Peter’s Basilica. If you are in need of a classical fix, the church holds free, regular organ concerts. After just a short walk from Peterskirche, we were finally in front of the soaring and imposing Stephansdom or St. Stephen’s Cathedral. 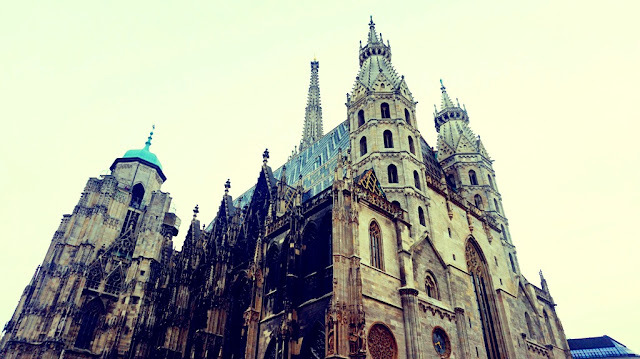 Towering at 137 meters high, St. Stephen’s Cathedral or Stephansdom is an imposing gothic structure built in 1359 with an ornately-designed roof and an 800-year old architectural history. It is considered as the icon of Vienna. 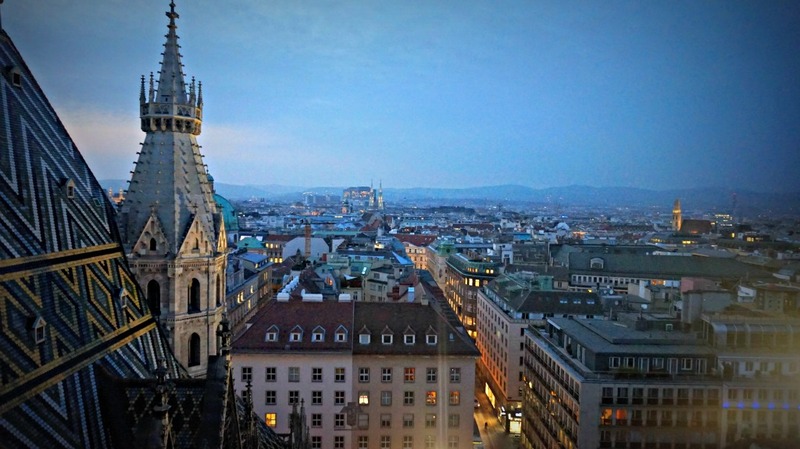 Mozart got married and had his children baptized in Stephansdom. Entrance to the church is free, but we paid a minimal charge to go up the South Tower, where we were rewarded with an impressive bird’s eye view of the city at night. It was windy up there, but the spectacular views from the Watch Room were well worth the chill. 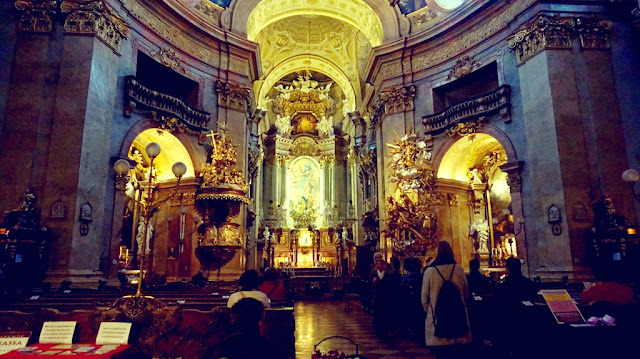 The church was crowded, but we did not forget to utter a prayer of thanks (for letting us make this Europe trip happen) before leaving the cathedral. 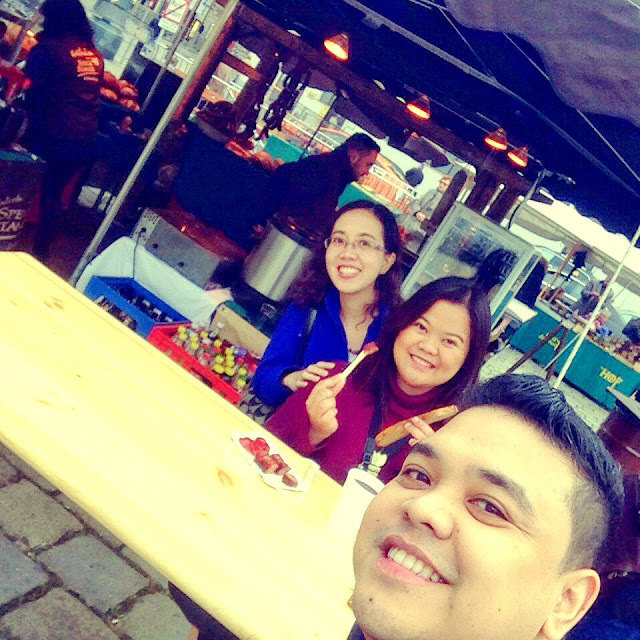 By then, our feet were numb and our bellies were grumbling. We wandered around the square looking for a place to eat—the choices were endless! We had dinner at Chatanooga. Since the temperature drastically dropped that night, we chose the basement area over the patio dining and had a satisfying, albeit expensive, meal of schnitzel, sausages, and beer. Before finally calling it a night, we dropped by a Viennese grocery to score some pasalubong. 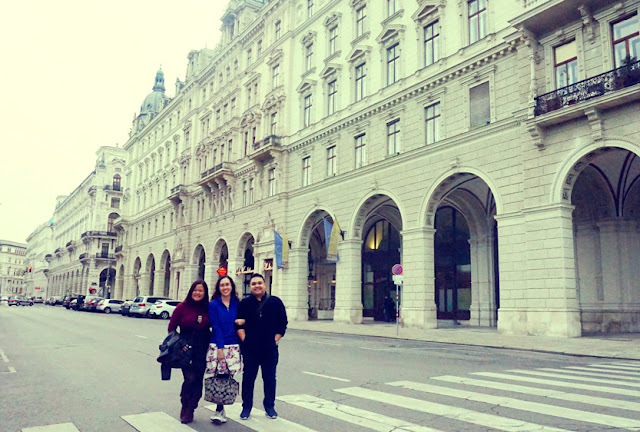 I can barely recall how we end up finding our way back to Benediktushaus from Wiener Graben but it was exhilarating to get lost in Vienna. I would surely do it all over again.